Hello, lovers of life stories! This month, I make my second appearance on Tucson television to promote video biographies. 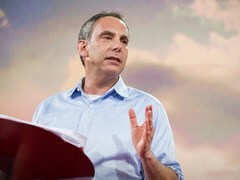 I also share a link to an inspiring TED talk by StoryCorps founder Dave Isay. 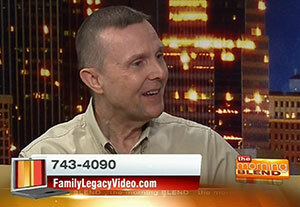 Family Legacy Video’s president, Steve Pender, is used to working from behind the camera. But on April 1st, he stepped in front of the KGUN9-TV cameras to talk about the benefits of video biographies. This was Steve’s second appearance on “The Morning Blend” talk show, and you can watch it here. The non-profit organization called TED began in 1984 as a conference where Technology, Entertainment and Design converged. Today the group’s mission is to spread ideas, most commonly in the form of short, powerful talks lasting eighteen minutes or less. The talks cover a vast array of subjects, from science to business to global issues, in more than 100 languages. In addition, the organization sponsors the annual TED Prize, which is awarded annually to a leader with a fresh, bold vision for sparking global change. The TED Prize winner receives one million dollars, along with the TED community’s wide range of resources and expertise, to transform the winner’s dream into reality. Listen to Dave’s inspiring TED talk here.